Get your business seen on the big screen! A powerful and emotive way to promote your brand and connect to a captive audience. A cost effective tool for brand and product awareness. Everyone loves the movies, young and old, from all walks of life. People at the movies are in a state of happiness and excitement as they anticipate their film, making them receptive to your message. You can’t skip cinema pre-show! The audience is already seated and waiting to watch their movie! Meaning your ad is what their focus is on. Your ad is large and in charge! Inspiring screen size with outstanding visual and audio present your ad in all its glory. With many packages to suit your needs, cinema advertising can work for your business with effective results. With an average of 5 screenings per day, per screen. That’s 30 screenings per day! Regent Cinemas boast in excess of 500,000 patrons anually, with an average of 2,500 patrons daily during peak periods. Dominating all cinema screens including Gold Class and in turn dominate the total audience at Regent Cinemas. New innovation to build, reach and quickly create mass awareness of your ad in the cinema environment. Let us work with you to tailor and customise a package to meet your branding requirements, whether it be a specific genre, category or demographic to hit your branding. 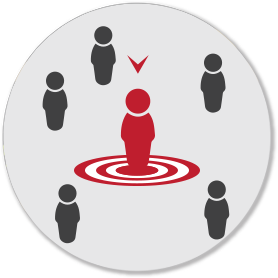 This approach provides you with greater buying efficiency and an opportunity to reach your target market within a campaign. Add a touch of luxury to your branding with Regent Gold Class. 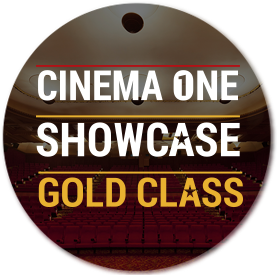 The premium environment of our Gold Class cinemas linked with the luxury and excellence of your brand, can work together to target our aspirational lifestyle customers and provide you the ultimate exposure. Regent Cinemas can strategically plan your marketing campaign to engage cinemagoers and obtain maximum coverage and exposure for your brand. Reach your consumer with our customised options that can be targeted by genre, category and demographic. Over 50% of our audience are highly educated, have a high disposable income, and hold secure professional jobs. 77% of them go to the cinemas on average every 2 to 5 weeks, while 23% frequent cinemas every 6 to 12 weeks. In today’s media saturated audience, cinema provides an ideal platform to advertise your business. Unlike other advertising mediums, the cinema audience is captive and attentive. This provides an ideal opportunity to truly engage an audience with your message. The captive cinema audience doesn’t multi-task, setting cinema advertising apart, as 92% of people are doing something else while watching TV. Independent research has proved the unique experience and viewing environment of cinema combines to delivery six times the impact and engagement of the same advertising on television. The Last ad our patrons see, is usually the first thing they recall. If advertising a full 6 or 12 months does not suit your needs or budget, consider sponsoring specific films that directly attract the target audience your business needs. Film sponsorship will showcase your ad between the last trailer and the feature presentation. This positioning provides you with the most premium of advertising with a film that both relates and reflects your business as well as directly capturing your target audience. 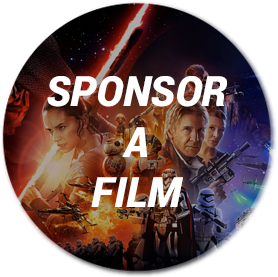 Film sponsorship is based on a minimum 4 week campaign, but if the film you’re sponsoring runs for a longer period of time, so does the ad, for FREE! Individual movies can be targeted for advertising, which is ideal when creative commonality or synergy exists between the product advertised and a particular movie.